With apologies to Charles Dickens, the year ahead is shaping up to be both the best of times and the worst of times for the business of brownfields. With President Barack Obama’s February announcement of the $757 billion American Recovery and Reinvestment Act of 2009, a stimulus plan designed to help jumpstart the economy and invest in environmental protection, the landscape of brownfield economics is shifting. New sources of funding for “green” grants and loans are designed to change the equation and make environmentally friendly projects like brownfield development more economically appealing. “There’s billions of dollars of potential [for brownfields],” says Charlie Bartsch, a senior fellow at ICF International who is based in Washington, D.C. “There’s $100 million [in the stimulus plan] specifically for brownfield activities . . . and certainly some of the [other] funds, such as clean water and drinking water funds, or transportation money, could be potentially pulled in to support brownfield type activities. 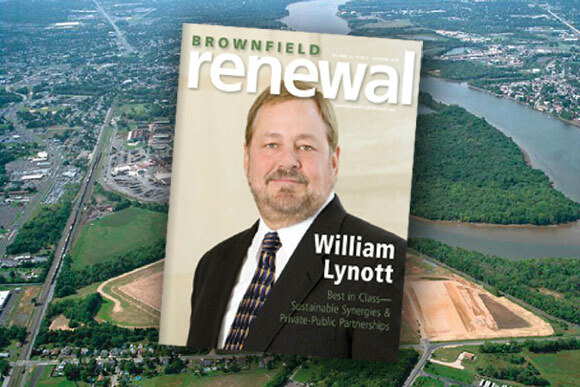 “If you have a brownfield project but portray it as an infrastructure project or an energy facility location project, some of these [Recovery Act] resources can be brought in to deal with the brownfield needs,” he adds. Bartsch also points out that the Department of Energy has earmarked some of its stimulus funding for energy efficiency and conservation block grants. “That’s more than $3 billion that communities can use for solar panel farms, retrofitting buildings, all sorts of things that could be very directly linked to brownfield strategies in communities,” he says. As with other development markets, brownfields are intimately tied in to what’s going on with the U.S. economy and the overall real estate market. At the moment, of course, it’s not a happy story, especially given the ongoing credit crunch. Making sure the end user of a redeveloped brownfield is economically viable is key in this market, agrees William Lynott, chief executive officer and founder of Viridian Partners, a brownfield redeveloper in Highland Ranch, Colo., that has repositioned more than 50 properties nationwide in the past 10 years. Viridian’s repositioning process for brownfield properties includes due diligence and assuming the remedial obligation through a remediation agreement with the environmental agency, procuring pollution insurance for the benefit of all parties, requiring cleanup and infrastructure contractors for the site to guaranty the achievement of critical performance milestones, and backing its indemnification to the seller by financial assurance instruments. The traditional private-public financial partnerships behind many brownfield projects are also hitting roadblocks in the current economy, as communities struggle to cope with the loss of tax revenue. In fact, at least 80 percent of the states will confront a budget deficit in the 2008-2009 or 2009-2010 fiscal years, according to NSI research. Because no state except Vermont is permitted by its constitution to run a deficit from one fiscal year to the next, state governments are cutting back on expenditures and canceling or postponing expenses such as major capital improvement projects. The frozen credit markets have even caused a few states to delay their scheduled bond sales. Reimbursement strategies such as tax increment financing (TIF) may encourage some cautious communities to proceed with brownfield development plans. TIF allows communities to finance debt for new development projects, by dedicating future TIF tax revenues generated by the development within a specific defined district for the repayment of debt. Municipalities are permitted to use TIF revenues to reimburse developers for site preparation construction costs, so that local government coffers don’t necessarily have to be tapped. McKenna says the inflow of federal Recovery Act grants and loans is likely to help start some movement in the coming months: “The fact that there’s low-cost money or grant money gets the development community interested in sites,” he says. And some areas are still seeing brownfield development despite the ups and downs of the economy, says Carbrey. The EPA’s Lloyd emphasizes that although credit markets may be tight, government funds for brownfield assessment and cleanup are out there. “We have funding that is coming available for assessment and cleanup of site,” he says. “Now is a very good time to get as many assessments as you can done on properties you own or will own, get them clean, get them ready. Our funds can help in that way. With investment in environmental protection as a major pillar of the Recovery Act, brownfield developers are in a prime position to take advantage of the nation’s growing enthusiasm for “green” investments and sustainable development. In fact, the “halo effect” from doing the heavy lifting on a brownfield site as it evolves from blighted property to green community asset can be bright indeed. As the tough economy drives more companies out of business, often leaving behind empty buildings and industrial plants, brownfield redevelopment can help communities make lemons out of lemonade, say experts. “Most brownfields are pretty good at creating a new tax base, which communities are hungry for,” agrees NSI’s Matthews. Brownfield redevelopment can also help communities as they try to get ahead of the recession by creating jobs, he adds. “Brownfields do tend to create a significant number of jobs, either in the cleanup process or the building process,” he says. Incorporating sustainable development into a brownfield investment can result in even more economic benefits, as future tenants reap the benefits of energy savings from weatherization, alternative energy sources and energy efficient-buildings. In fact, a company’s commitment to sustainability can help it outperform its peers in the current financial climate, suggests new research from A.T. Kearney Inc. Its new study, titled “Green Winners: The Performance of Sustainability-focused Companies in the Financial Crisis,” compared the financial performance of 99 companies with a strong commitment to sustainability with industry averages. In 16 of the 18 industries studied, the sustainable businesses outperformed industry averages by 15 percent from May to November 2008— averaging out to $650 million in protected market capitalization by company.